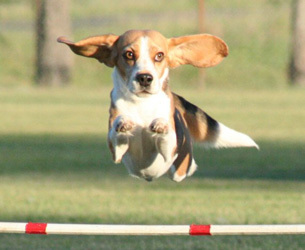 Why would I want to go to an Agility Trial? Enjoy a day of sporting fun. It's handler and dog against obstacles and time; the ultimate example of teamwork between handler and dog. Experience the incredibly close bond as the dogs race the clock and navigate the obstacles while focusing on the handler's verbal and physical directions, attuned to their every move and command. And enjoy the fun when "dogs will be dogs" and make even the most experienced Agility Handler look like a complete idiot. A fun-filled and exciting day for the entire family as you all cheer for your favorite! The 2017 Agility Trials will be held on September 30 and October 1st, 2017 at IN THE NET sports complex, 798 Airport Rd., Palmyra, PA 17078. 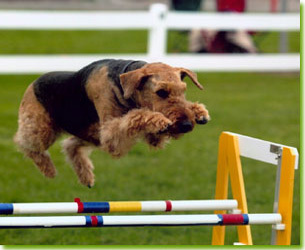 Come see over 500 dogs in competition each day. You can get directions from the venue's website which include a Google map to plan your trip.